Responsible for the technical design, planning, implementation, and the highest level of performance tuning and recovery procedures for mission critical enterprise systems. Serves as a technical expert in the area of system administration for complex operating systems. Recommends the redesign and configuration of operating systems and system applications. Investigates and analyzes feasibility of system requirements and develops system specifications. Identifies methods, solutions, and provides project leadership and management in order to provide a high level of service to the customers of the department. Performs full supervision of Operations staff. 1. Manages the day-to-day operations of the PCC host computers by monitoring system performance, configuration, maintenance and repair. Ensures that records of system downtime and equipment inventory are properly maintained. Applies revisions to host system firmware and software. Works with vendors to assist support activities. 2. Develops new system and application implementation plans, custom scripts and testing procedures to ensure operational reliability. Trains technical staff in how to use new software and hardware developed and/or acquired. 3. Supervises Operations staff including hiring, training, evaluating and disciplining. May guide or provide work direction to technical staff, contract staff and/or student employees. Determines appropriate coverage for all hours of operation. 4. Performs troubleshooting as required. As such, leads problem-solving efforts often involving outside vendors and other support personnel and/or organizations. 5. 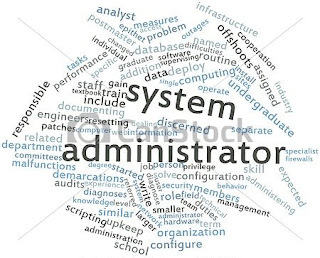 Establishes, maintains and manages users Unix accounts. Installs, modifies and maintains systems and utility software on server computer systems. Provides server support related to other software. 6. Establishes guidelines and methods for the installation and management of the host computer operating systems, disk arrays, fiber channel switches, tape libraries and other components. 7. Ensures high availability and acceptable levels of performance of mission critical host computer resources. 8. Develops procedures to maintain security and protect systems from unauthorized use, acts of nature and user abuse. 9. Develops procedures, programs and documentation for backup and restoration of host operating systems and host-based applications. 10. Develops and coordinates project directions and schedules to maximize benefits and minimize impacts on the customer organizations. Provides leadership in planning and implementation of projects for computer operations and enterprise systems administration. 11. Develops tools, procedures, and training sessions for Operations, Client Support and Systems Development staff to assist with work. 12. Manages the data center and computer host systems including hardware, software and equipment such as air-conditioning system, UPS (uninterrupted power system) and fire protection system. 13. Stays current with technological developments in systems administration technology and recommends ways for PCC to take advantage of new technology. Positions in this classification may perform all or some of the responsibilities above and all positions perform other related duties as assigned. Associate's degree in Computer Science or related discipline. Relevant experience may substitute for the degree requirement on a year for year basis. Three years work experience in complex systems design, programming and systems software and support. Knowledge of: Programming languages and operating systems; current equipment and technologies in use; Unix system administration, enterprise backup and recovery procedures, and system performance monitoring tools; effective project management techniques; principles and practices of effective management and supervision. Ability to: Plan, organize and document complex system design activities and to configure systems to be consistent with institutional policies/procedures; communicate technical/complex information both verbally and in writing; establish and maintain cooperation, understanding, trust and credibility; perform multiple tasks concurrently and respond to emergency situations effectively. Work environment includes typical computer related noise levels and paper and equipment generated dust. Exposure to video display terminals occurs on a regular basis. Incumbent is on call to provide support services during off hours. Scheduled night and weekend work is required. Learned physical skill is required for keyboarding and use of peripheral equipment. Moderate lifting. Its such a great information.Thanks for sharing this article.We are providing ISO Certifications if you are looking for that please reach us.